The ShelterLogic Ultra Max Replacement Top is the ready to install canopy cover. Designed to exact frame specifications of the Ultra Max Canopy. When it comes time to replace a worn canopy top, don't settle for cheap tarps or aftermarket knock offs. Insist on authentic ShelterLogic brand canopy covers. Constructed of the same quality materials and workmanship of our original canopy. Perfect for refurbishing worn out or damaged canopy covers. 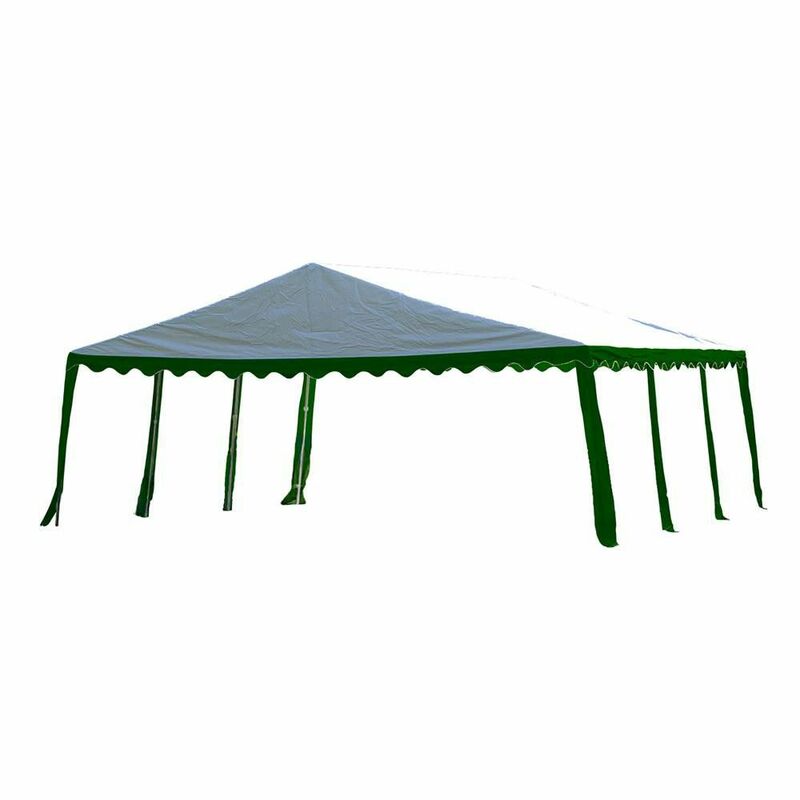 The ShelterLogic Max AP 10x10 Canopy provides shade and protection in a small footprint. This compact fixed leg canopy sets up in minutes, the perfect seasonal shade solution for decks, patios or smaller coverage areas. Valance cover attaches to the frame with ease using bungee cord fasteners. Max AP 10x10 is great for camping, picnic areas, backyard events and much more.